This week we wrap up corner back. Some of these names are undervalued, some are overvalued. Looking at projections, history, defenses, and skills, however, these are the rankings that should accurately reflect MLFF leagues and those leagues similar to MLFF. This list has some real high-upside rookies and young players, shutdown corners, oldies but goodies, and some fading players. Whatever your type may be, find your player here, or suggest others. By season’s end, some of these names will end up off the list completely, and some will potentially end up inside the top 20. If I had to single out one CB on this list to be a top 20 CB this season, it’d be Dennard, as he is an absolute monster. Honestly, I want to hear some other opinions on here, so please bring ’em to start a debate here on MLFS, as I enjoy a good debate. 22.) Brent Grimes (MIA) – Grimes is a shutdown corner in a weak secondary, meaning he’s going to be relied upon in Miami. After posting 4 INTs in 2013, Grimes should continue to provide owners with a steady dose of interceptions and passes defensed, but be lean in the other counting areas. 23.) Stephon Gilmore (BUF) – Some are going to scratch their heads and wonder how on Earth I have Gilmore so high, when he’s coming off hip surgery? The reason is he is young, explosive, and hits hard in a rebuilding Bills secondary. He is never going to lead the league in any category, but in 2014, don’t be surprised for a well-rounded line of INTS, PDs, and two forced fumbles from Gilmore as a CB2. 24.) Janoris Jenkins (STL) – Bounce back candidate of the season, right here. After a dismal last season in which he allowed 7 TDs, look for Jenkins to come closer to his rookie numbers (4 INT, 64 tackles) and be the anchor for the Rams corner back corps. Jenkins has CB2 upside that you can nab at a CB3 price, as he could very well get another 4 INTs this season with room for growth in the PD department. 26.) Jerraud Powers (ARZ) – Playing in the same secondary as ball hawks Peterson and Mathieu may detract some from Powers’ numbers, but considering opposing QBs will also shy away from Peterson, Mathieu, and Cromartie, Powers may see an increase in balls thrown his way. He’s good at making plays to knock the ball away, but also is prone to make mistakes. If you can find interceptions elsewhere, Powers will be good for passes defensed and tackles, that’s about it though. 27.) Tracy Porter (WSH) – With the exit of Josh Wilson to Atlanta, Porter will play the role of slot corner in Washington, but he is atrocious in coverage, leaving the safeties to clean up his mistakes. Given his weakness in the pass coverage game, opposing offenses will continue to throw at him, which should correlate to a 4 interceptions, 15 passes defensed season. Be warned, he’ll get beat a ton in the pass game. 28.) Captain Munnerlyn (MINN) – Mike Zimmer nabbed one of the best slot corners in the NFL from Carolina through free agency. He will play corner opposite Xavier Rhodes early on early downs, but then transition to slot on later downs in Zimmer’s defensive scheme. He won’t be an elite source of INTs nor PDs, but with 4 pick 6s the past 2 seasons, there’s possibility for another this season. 29.) Bradley Fletcher (PHI) – Fletcher will start opposite Cary Williams on the outside in Philly, and should be a decent fantasy corner again this season. Look for Fletcher to contribute 15 passes defensed, 3 picks, and 60 tackles as a CB2/high-end 3 this season. 30.) Jason Verrett (SD) – Verrett will step in immediately and start for a Chargers secondary that was a train wreck last season. Granted, this season with the additions of Verrett (Draft), Richard Marshall, and Brandon Flowers, the Chargers secondary is getting its stuff together. While this is a mediocre group of corners, Verrett is the quickest of the lot and should lead the trio in picks. Conservatively, expect 3 INTs, 55 tackles, and a dozen or so passes defensed. Sleeper material. 32.) Orlando Scandrick (DAL) – A top 20 cover corner, Scandrick is slated to start opposite Brandon Carr. While, for his career, he hasn’t been a corner to pick many passes or rack up a ton of passes defensed, he is not as injury-prone as Morris Claiborne, and contributes modestly in the run game for a corner. If you’re looking for a low-upside, low-risk guy, Scandrick is for you. 33.) Aqib Talib (DEN) – Talib will play the role of shutting down opposing team’s top receivers, in addition to mentoring the young corners on the team. The Broncos are looking to improve upon last season’s 27th ranked pass defense from last season, and Talib and Roby definitely help. 34.) Dwayne Gratz (JAX) – Gratz is the least known of the Jaguars CBs, but is the best against the pass, limiting opposing QBs to a QBR of 75.7 last season. With the ideal size for Gus Bradley’s scheme, look for Gratz to build upon a solid rookie season, in which he had two picks and three passes defensed. 36.) Cortland Finnegan (MIA) – Given his struggles the past 2 seasons, and some apathy last season in St. Louis, it’s a wonder that Finnegan finds himself in a starting gig this season; but he has, opposite Grimes in Miami. Slated to start outside on early downs, and at the nickel in sub packages, the Phins will look for Finnegan to rediscover the days where he was a physical corner and made plays on the ball. There’s definitely risk here, but the payoff could be 4-5 picks and a solid tackle total. 37.) Kyle Arrington (NE) – Arrington will once again be the Patriots slot corner this season, and should be a decent fantasy contributor. Coming off groin surgery, Arrington will be fine going into the season and should be in line to net 3 INTs, 50 tackles, and 11 passes defensed. 38.) Corey Graham (BUF) – After a 4-pick season for the Ravens in 2013, Graham finds himself playing nickel in Buffalo. With McKelvin and Gilmore on the outside, Graham will look to hold off Roby for time at nickel in an emerging Bills defense as the season progresses. Graham has value, but keep an eye on the slot position going into the season in Buffalo. 39.) Vontae Davis (IND) – Davis is talented, but the skills just haven’t fully translated to the NFL…yet. After a season in which he finished as a top 3 NFL corner, Davis will look to breakout this season in Indy and help them solidify their secondary. If you’re an owner that is looking for a nice steal, nab Davis. 40.) Robert Alford (ATL) – There could be a dynamic duo brewing in Atlanta with Trufant and Alford on the outside. Alford surpassed Samuel on the depth chart late last season and never looked back. After making nice strides in his rookie season, Atlanta will expect Alford to step up his game even more to solidify a weak Atlanta secondary. If you missed out on Trufant, nab Alford and see what rewards you reap. 42.) Darrelle Revis (NE) – Revis Island is a No Fly Zone, and rightly so. No QB wants to throw his way, as Revis is superb in coverage and harasses opposing receivers to no end. In New England, he’ll start opposite Browner (suspended first four games) and continue to hound opposing receivers. If your league doesn’t count passes defensed, ignore this ranking, as he is a PD master. 43.) Keenan Lewis (NO) – Lewis has played top CB in New Orleans for the past two seasons and is integral to the defense, given his ability to stay with opposing team’s top receivers. While Lewis may not lead the league in any category, nor have upside, he’ll consistently provide owners a healthy dose of PDs and a few INTs. 44.) Dominique Rodgers-Cromartie (NYG) – The Giants secondary needs desperate help, and they hope DRC can fill the role of CB1 to stick with WR1s. He has the speed and physicality, but also is error prone, so the GMen hope they get the 2013 version, not the 2011-2012 version of DRC. If he returns to 2013 form, the GMen found their shutdown corner. 46.) Terence Newman (CIN) – Newman may be aging, but he still will serve as the Bengals slot corner until (read “IF”) Dre Kirkpatrick shows that he can handle a starting job. The addition of Dennard via the Draft helps bolster a weak secondary, but there are still questions with the unit. Leon Hall is coming off off-season surgery and is a major injury risk, as he has torn both Achilles. If you draft Newman, expect 3 interceptions and 15 passes defensed. 47.) Johnathan Joseph (HOU) – Joseph is the top corner on a weak secondary (Swearinger is the lone bright spot), meaning he’ll be relied upon to keep the unit together. The Texans were considering cutting him earlier in the year, but he now looks to open the season as top corner in Houston. If he can stay on the field, he’ll be a good bet to net 3 picks and 18 passes defensed, but he hasn’t played a full season since 2009. 48.) William Gay (PIT) – Gay will man the slot position in Pittsburgh again, but is always a risk to get burned, as he is poor in coverage, albeit playing physically when he hits. He’s not someone you rely upon for interceptions, but he’ll net you two forced fumbles and a decent tackle total. CB3 material here. 49.) Jason McCourty (TEN) – Man, did someone fall off a cliff last season! McCourty went from CB1 material to CB5 material in a matter of one season. Fear not, he will rebound this season in Tennessee, but maybe not to the tune of a CB1. He’s a hard hitter, and a high-tackling CB, but he’ll need to rebound to 75 solo tackles and 3 picks for him to be trusted in fantasy circles after last season’s dismal performance. 50.) Xavier Rhodes (MIN) – Rhodes will once more play CB1 in a paper-thin Vikings corner unit. In his sophomore campaign, if he can stay healthy, Rhodes could tally 50 tackles, 2 interceptions, 15 PDs, and a forced fumble, as he’ll be heavily relied upon going forward to anchor a reeling Vikings cornerback unit from last season. 52.) Kyle Wilson (NYJ) – This could be Wilson’s final season in the Big Apple, as he just has not panned out as the Jets had hoped. With just three picks to date in his career, if he doesn’t improve his play making ability in 2014, he could see decreased snaps to rookie McDougle, Darrin Walls, and Dowling all pressing for snaps at corner in 2014. He’s a low-upside, high-risk player at this point. 53.) Tarell Brown (OAK) – Brown decided to take his shot at a 1-year deal in Oakland, in an effort to pony up more interest in free agency next season. During his time in San Fran, he was a very reliable corner against the pass and could be in a statistical best season in Oakland, given the status of the franchise. He’s worth consideration as a CB3/IDP flex in bye weeks and favorable match ups, but won’t be oft targeted in Oakland, given his great cover skills. 54.) Will Blackmon (JAX) – Fresh off a two-year extension, Blackmon will look to once more be a solid slot corner in Jacksonville, and help give Jaguars fans someone to want to see stick around. He’s a big, physical corner and an ideal fit for Gus Bradley’s defense, and is the best corner the Jags have. More balls will be thrown Gratz’s and Alan Ball’s way, but there could be opportunity here for Blackmon to pick off some as well. 55.) Tramaine Brock (SF) – The 49ers made it evident they saw Brock as a future starter when they signed him to a four-year deal in November after he supplanted Asomugha as slot man. He was a top 20 corner last season in the NFL and could see a breakout season in 2014 if he’s able to continue his success from 2013. If he continues his emergence, he’s a potential top 30 fantasy corner who could nab five picks playing in the slot in S.F. 56.) Ron Parker (KC) – Currently starting opposite Cooper in OTAs, Parker looks as if he has supplanted Sean Smith as the Chiefs CB2. Parker is strictly a press corner, but with two interceptions and a forced fumble in under 100 snaps last season, Parker could emerge as a potentially useful corner in 2014 for fantasy circles under defensive coordinator Bob Sutton. His upside is limited, given he can only play outside, but he’s a worthy look for bye weeks for now, but could push for spot starts as the season progresses in a weak K.C. secondary. 57.) Brandon Flowers (SD) – After he was released by the Chiefs due to a bad fit in Sutton’s defensive scheme, Flowers finds himself in San Diego, where he will likely start at corner and be a borderline Pro Bowler. Flowers is under-sized, but still manages to be a borderline shutdown corner as evidenced by his first five seasons in K.C. The 29th ranked pass defense from last season is now looking spiffy solid. If you are looking for a corner to grab late who will get a nice pick total, Flowers could be your man. 58.) Antoine Cason (CAR) – Cason is horrible in coverage, but behind a nasty front seven in Carolina, it’s not inconceivable that Cason could scratch the surface of fantasy-utility this season. He’s going to be oft-targeted in Carolina, but if he nabs 3 interceptions and 15 passes defensed, he could round out to be a top 50 CB in fantasy circles. 59.) Buster Skrine (CLE) – In Cleveland’s version of the Biggest Loser, Skrine loses out with the addition of Gilbert in the Draft. That should be fine for the Browns, however, as Skrine was one of the league-worst corners last season, and only managed 1 pick opposite Haden. Gilbert’s presence will also put a damper on Skrine’s passes defensed total while pushing him to slot. After being a top 20 fantasy corner in leagues last season, Skrine will likely fall outside the top 50 this season, and potentially further if he can’t at least get 15 PDs while being heavily targeted by opposing defenses. That’s a wrap for corners. Next up is punt and kick returners. Honestly, I think you could make an argument that another 15 guys could be on this list over some others on this list, but, like I stated these rankings reflect MLFF scoring. I envision a ton of rookie corners making fantasy impacts this season (real-life impacts as well), and I believe I have accurately projected that feeling through my rankings. Continue to tune in for great analyses of baseball and football as we near the start of the football season, and don’t forget to like us on Facebook, tell your friends and co-workers about us, and give us a tune-in on our radio. 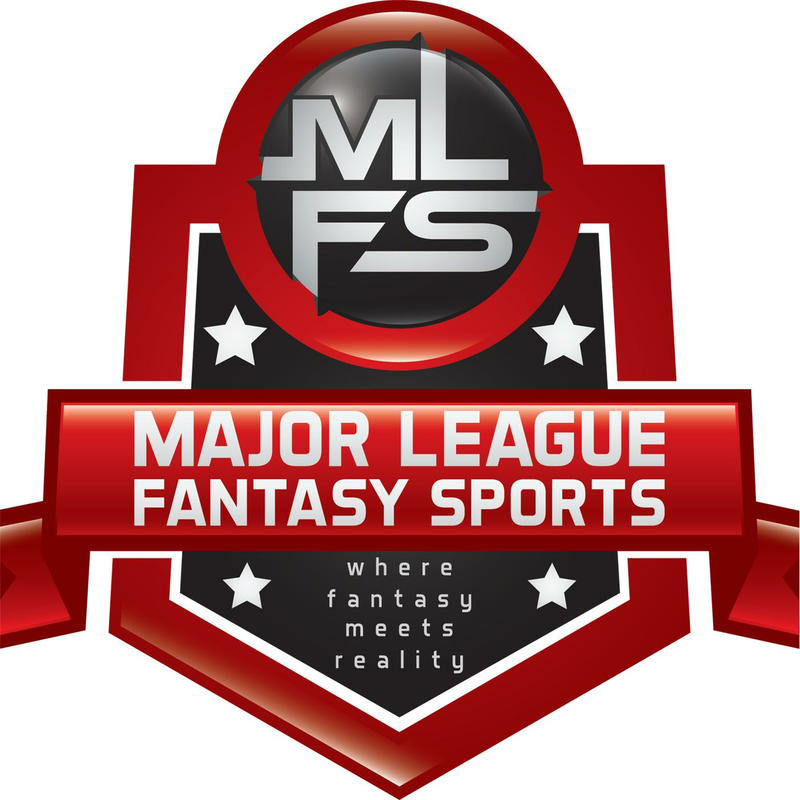 Major League Fantasy Football Radio This Sunday August 3rd from 11:30am-12:30pm EST we will have two guests – Chase Jacobs and Ryan Ingram. Chase is a writer for majorleaguefantasysports.com and an owner in MLFF Champions League. Ryan is a writer as well and also an owner in MLFF league one. We will be discussing Tight Ends and Running Backs primarily. Sports Palooza Radio Network is who we owe thanks to in providing the platform. You can call in live at 646.915.8596, you can listen online live, or you can download the podcast. Major League Fantasy Baseball Radio This Monday August 4th from 1pm-2pm EST we will have two guests – Bryan Luhrs and Ryan Bishop. Bryan is the owner of Real Deal Dynasty Sports, an author for MLFS, and also an owner in baseball & football. Ryan is one of the original owners in our leagues who is in year 7 with us, and he is a good source of information and opinion. We will be discussing potential minor league call ups, what impact they could have, and the latest fantasy relevant information. You can call in live at 646.915.8596, you can listen online live, or you can download the podcast. I am a recent college graduate from a small liberal arts school in Atlanta, GA. I'm a sports junkie and a diehard Atlanta sports fan.